It’s football time! If you’re a fan, you’ve probably already signed up for NFL Sunday Ticket on DIRECTV. It’s the only way you can get every game, every Sunday and you won’t find it on cable or streaming. If you have Sunday Ticket you’re the envy of your friends and I suspect you’ll be planning a bunch of parties this season. But what about those days when you can’t spend hours in the man cave? What about when life gets in the way? 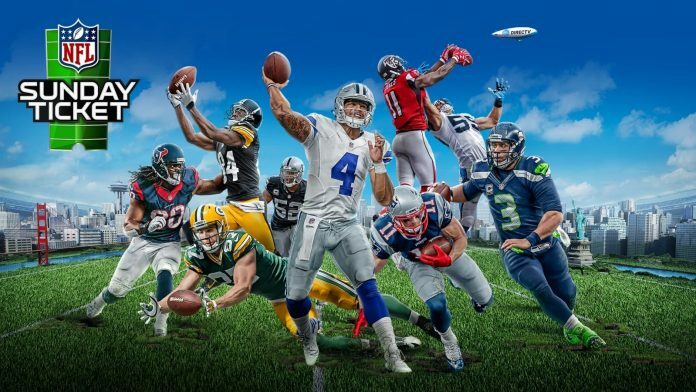 DIRECTV’s NFL Sunday Ticket is available on a free app for your phone. Get the iOS version here, or the Android version here. Don’t worry, I’ll wait. There’s even a version for people with Fire tablets. You don’t have to be at home to watch. Of course you know what they say, “data charges may apply” but if you have an AT&T cell phone you can probably stream free of charge. (Call use at 877.312.4547 and we can confirm for you.) Imagine being able to spend time with a spouse or go to the store and not missing a play. Sounds pretty good, right? With the app experience you won’t miss a play, and it’s totally seamless. You can watch the same games you’re watching at home, or you can use the app to watch a second game while still enjoying the first on your TV. It’s that cool. Pretty decent for something that doesn’t cost anything extra, right? The Sunday Ticket app is also a stats machine. You can see what’s going on across the league, get on-demand replays, even get real-time alerts when something happens in a game you’re not able to watch. You basically have all the information in front of you that the commentators do. This is superfan heaven, right here. Sunday Ticket isn’t just TV anymore. It’s an all-inclusive experience that gives you all the trivia, news, footage and live TV that you crave. As as I said, it’s only available on DIRECTV Satellite. If you haven’t signed up for it yet, call Solid Signal at 877.312.4547 to find out how you can get Sunday Ticket for FREE this season. There are plenty of other free offers too… what are you waiting for? How hot should a Genie Mini Client get?